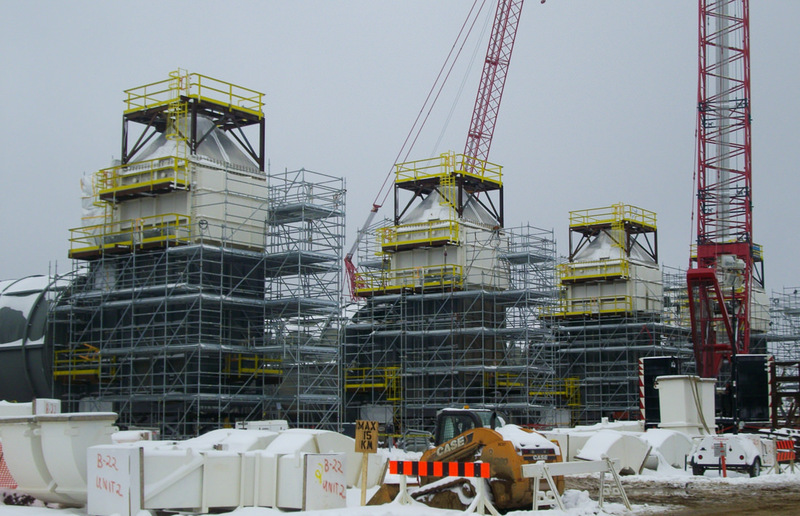 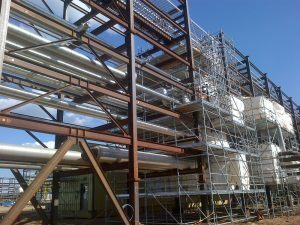 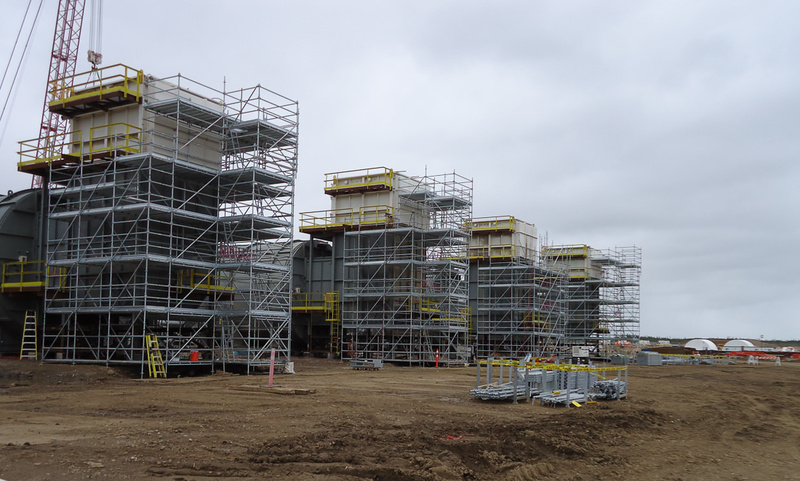 Pilosio has provided the supply of Svelt formwork and MP multidirectional scaffolding for a plant managed by the Canadian branch of Saipem in Fort McMurray, Alberta. 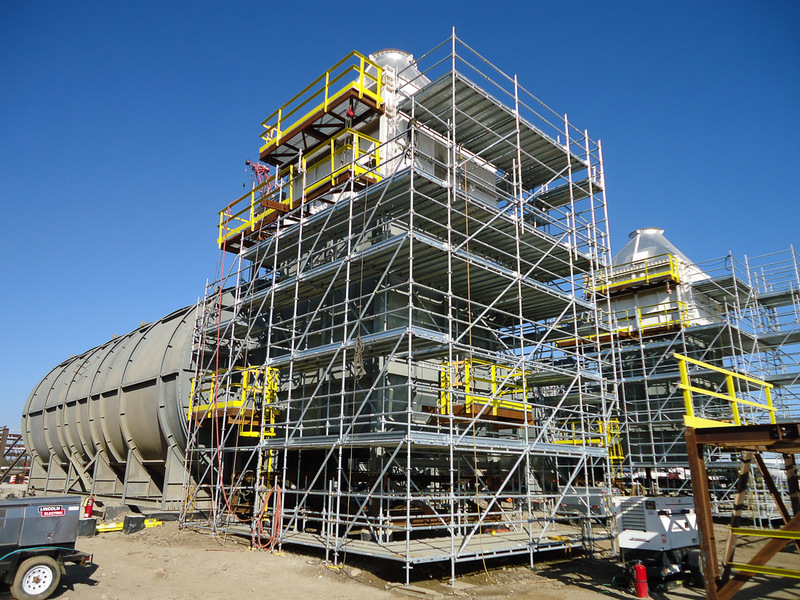 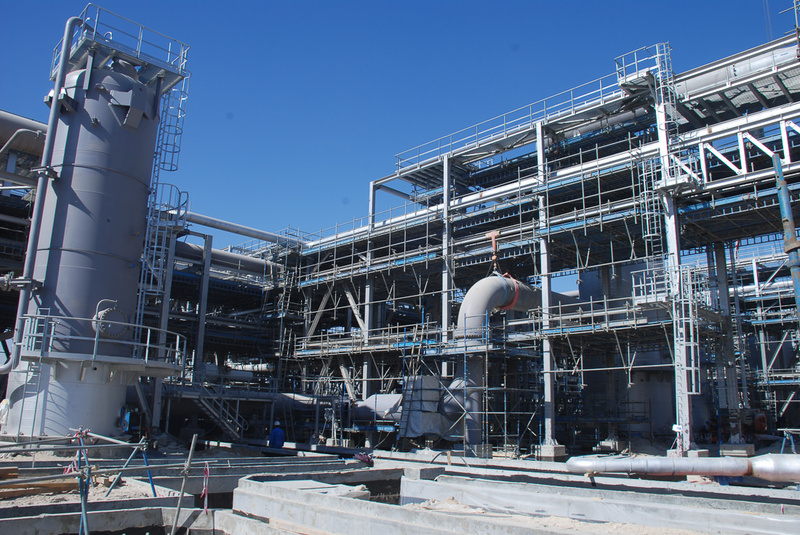 The Svelt Formwork has been used for laying the foundations of the tanks. The MP Multidirectional Scaffolding system, thanks to its wedge and whaser hooking system, makes assembly and disassembly extremely easy: no bolts or nuts are necessary and all connections can be carried out using a single hammer. 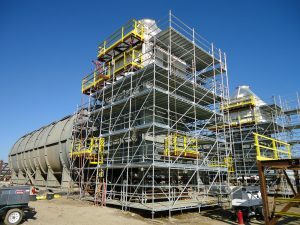 Moreover thanks to the dry connection there is no need to grease or maintain the locking block. 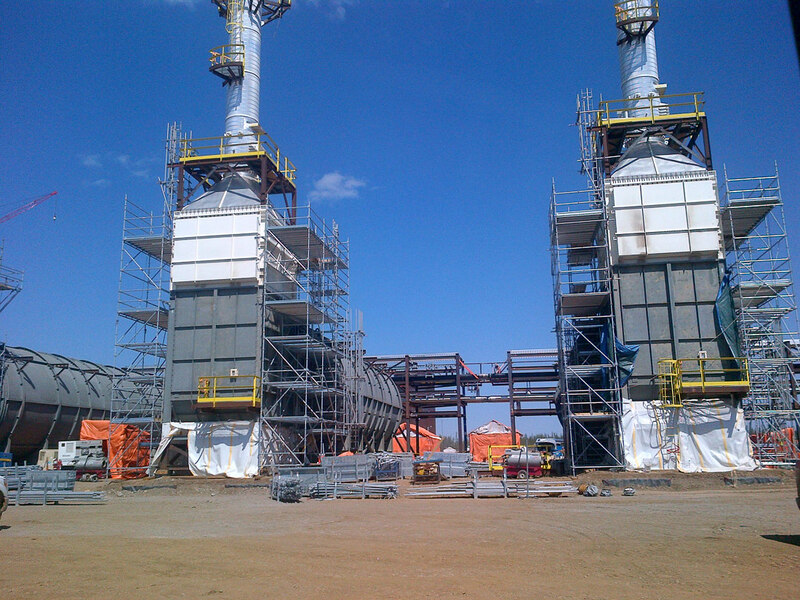 Pilosio has been chosen by Saipem for the technical reliability and quality of its products and its safety standards. 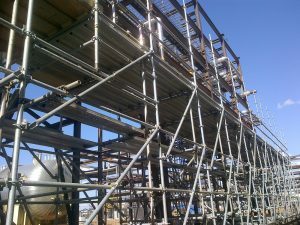 Moreover the Multidirectional scaffolding was chosen for its versatility and flexibility – fundamental requirement for Saipem. 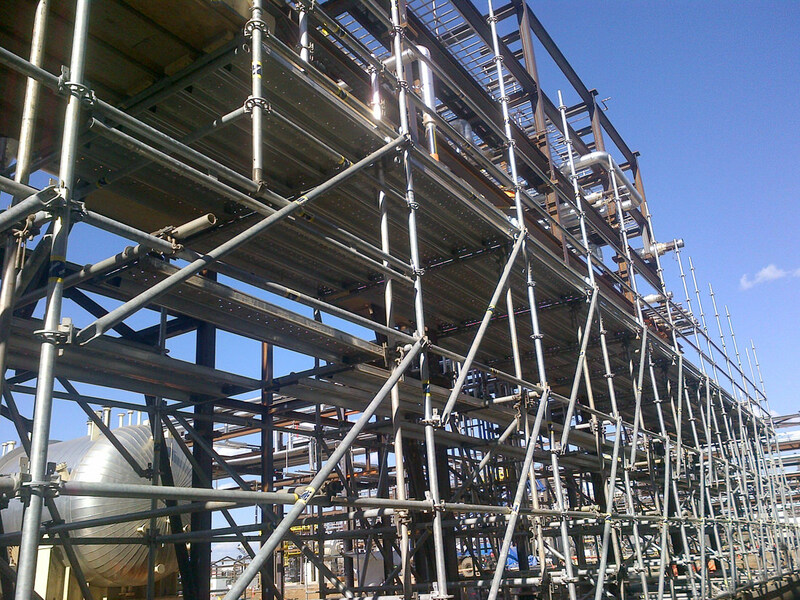 It makes easy to create structures using irregular or unusual geometries. 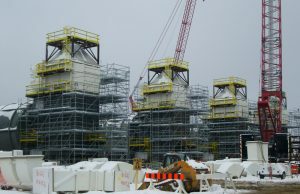 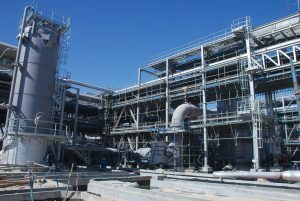 In order to meet the special circumstances due to the particular weather conditions, Pilosio carried out tests in its laboratories in order to guarantee the resistance of the structures down to temperature of -45°C, far colder than the minimum temperatures allowed for the execution of works permitted by the Canadian Authorities.